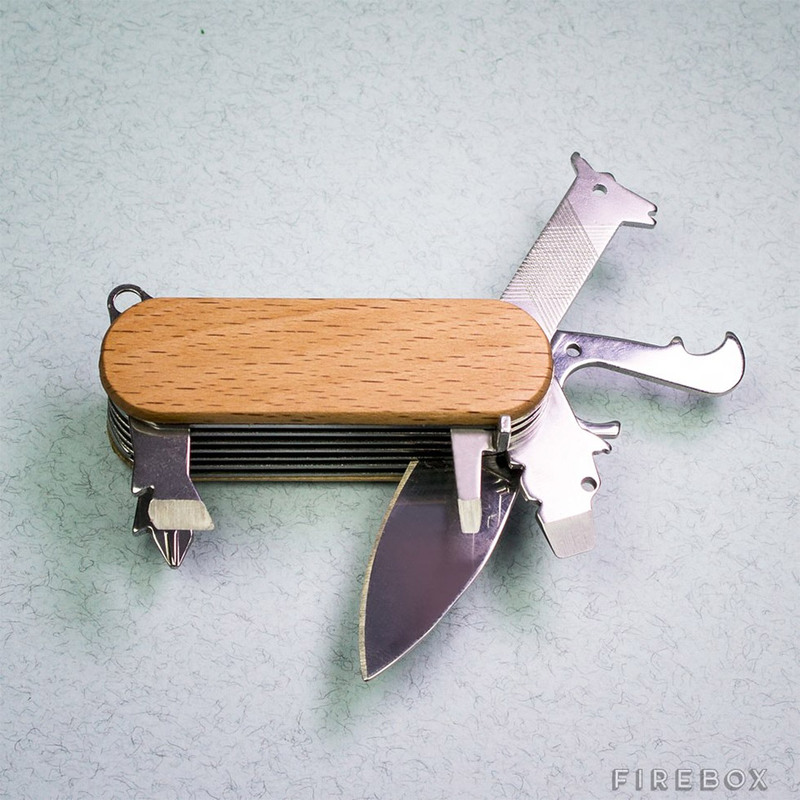 This whimsical Swiss army style knife packs in seven useful tools, while looking like various animals, including a rhino, a hippo, and a giraffe. 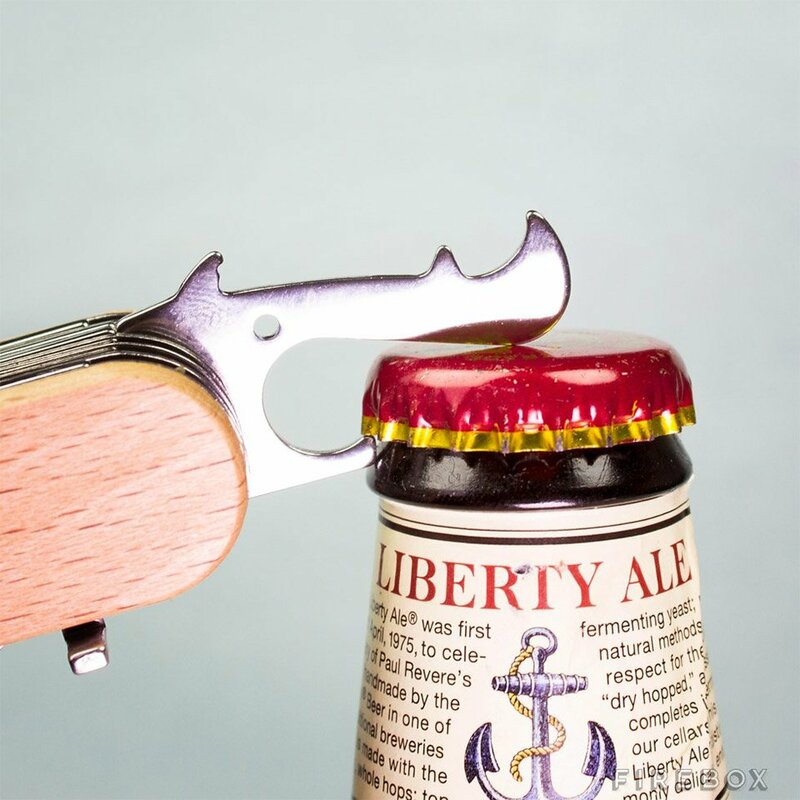 Has a bottle opener, wire stripper, file, punch, flat/Phillips drivers, and a knife. 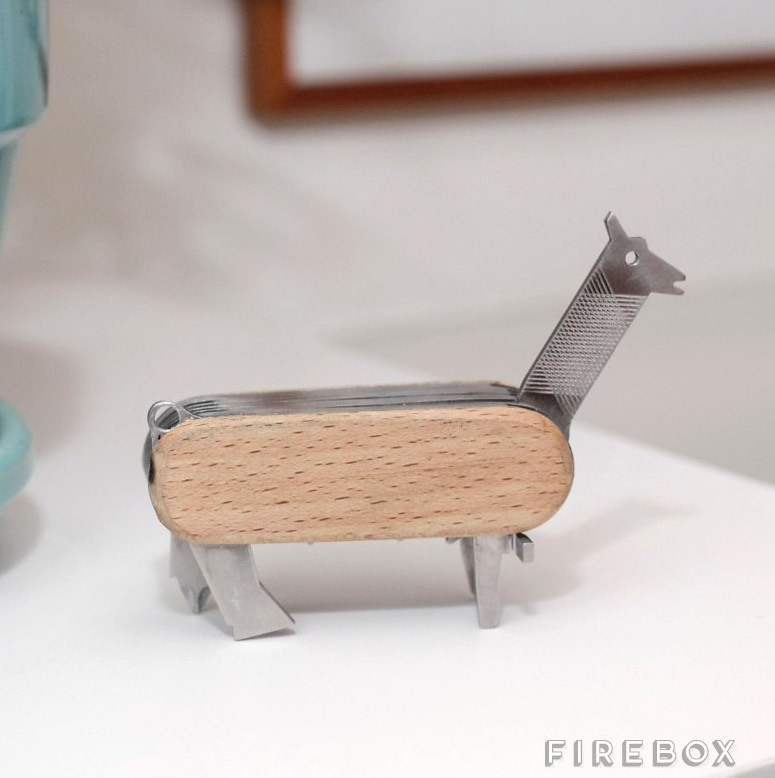 We think they should have called it the ZooTool.